Telehealth visits like this one will become the norm for systems that embrace the model. Stanford Children’s Health started small when it began offering telehealth services a decade ago, primarily focusing on providing clinic-to-clinic virtual physician visits with limited capability to consult directly with patients in their homes. But strong demand for such interactions from both patients and clinicians prompted the system to increase the size and scope of its telemedicine program about three years ago, helping the system to become more patient-centered. “What telehealth enables us to do is take the care to the patient when they need it, where they need it, and stop disrupting their lives as much,” said Dr. Natalie Pageler, chief medical information officer at Stanford Children’s. The number of virtual visits at Stanford Children’s has exploded over the past two years, rising from just 192 in 2017 to more than 1,100 in 2018, and more than 1,500 already in the first few months of 2019. The goal is to reach 2,500 by year-end. But many healthcare providers and administrators are not eager to upend their standard model for care delivery, which likely has been in place for decades. As a result, only a fraction of hospitals and health systems have adopted telemedicine, which in the coming years could cause them to lose patients to the burgeoning market of convenient-care options that include telehealth operators, free-standing emergency departments, urgent-care centers and retail health clinics. Pageler said the failure of hospitals to fully adopt telemedicine is creating a gap in care that she fears is being filled by organizations that may have lower standards. “I’m concerned that some of those providers may not have the same level of skill or knowledge that we provide here,” she said. Healthcare has been slow to adopt telemedicine. In 2016, just 15% of physicians worked in practices that used telehealth, according to a 2018 American Medical Association survey published in Health Affairs. Still, in dollar terms, telehealth services have grown by 44% over the past five years, according to industry research firm IbisWorld, with a total market revenue of $2 billion in 2018. Uscher-Pines said direct-to-consumer telehealth has been part of a broader push in healthcare toward convenience that has created a change in how patients are accessing care for minor health conditions. Hospitals that have embraced telehealth have mostly supplemented their current care-delivery apparatus by using virtual visits to handle those lower-acuity patients. Carey Officer, operational vice president for Jacksonville, Fla.-based Nemours Children’s Health System’s Center for Health Delivery and Innovation and administrator of its telehealth program, said telehealth’s biggest potential impact will likely be the way it changes the nature of the primary-care clinic. 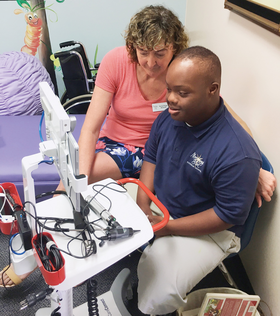 A school nurse and a student at Morning Star Catholic School in Orlando, Fla., use Nemours’ telemedicine system to consult with a pediatrician as part of a wellness check. In 2014 Nemours began its telehealth program, a 24/7 on-call pediatric service offered in seven states that focuses on direct-to-consumer care for acute, chronic and post-surgical appointments. Patients can access clinicians via a smartphone or laptop. Officer said the early signs seem to indicate telehealth has helped reduce costs by lowering hospital utilization. A 2018 peer-reviewed analysis of Nemours’ pediatric telemedicine program published in Telemedicine and e-Health Journal that tracked 1,000 patient visits from October 2015 to June 2017 found that when surveyed, 67% of parents who used the health system’s telemedicine services reported they otherwise would have visited an emergency department, urgent-care center or retail health clinic had telehealth not been available. The study reported 27% of parents would have opted to visit an ED had they not used telehealth, which the analysis suggested would have saved the Florida healthcare system $113 million out of the $480 million the state spent in pediatric ER costs that year. 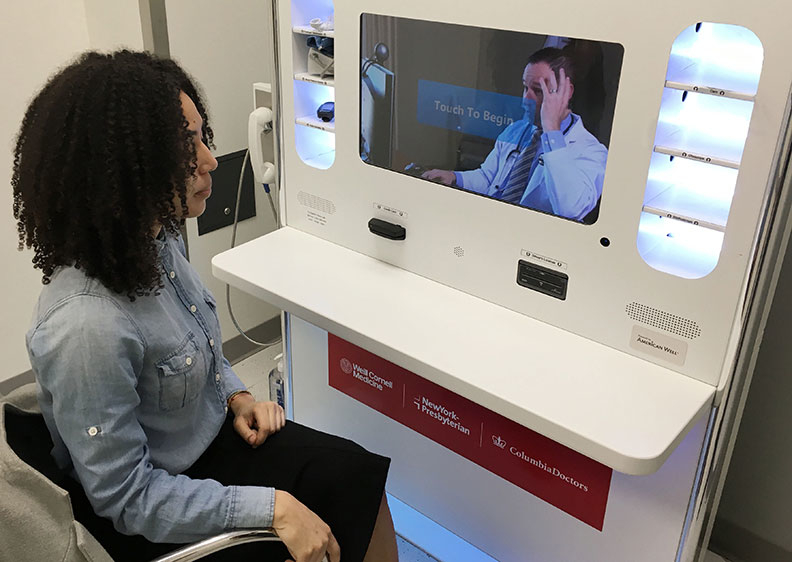 Shauna Coyne, director of innovation at New York-Presbyterian Hospital, witnessed telemedicine’s eventual integration into the regular way care is provided, becoming expected rather than being seen as a special additional service. Since 2016, New York-Presbyterian has conducted 160,000 telehealth visits through an array of services that include leveraging the expertise of its physician specialists from affiliate facilities Columbia University Irving Medical Center and Weill Cornell Medical Center to provide patients from around the country with second opinions on their clinical issues. Other offerings included the launch of the hospital’s ExpressCare, which allows patients who arrive at the ED with non-emergency issues to have virtual visits with a clinician to expedite their treatment. New York-Presbyterian also provides digital follow-up appointments instead of having patients come back for an in-person visit. “We think that by between 2023 and 2024 the number of virtual visits could surpass the number of in-person ambulatory visits,” Coyne said. Like Nemours, Children’s Health System of Dallas developed its telehealth program as a form of triage that allowed the hospital to address the needs of lower-acuity patients who might otherwise show up in the ED. “We’re looking at it as a way to really allow kind of a clearance of those who do not have to be in the hospital and the clinic to be able to access their provider in other locations, whereas the sickest of the sick can be in the hospital,” said Tamara Perry, senior director of virtual health operations for Children’s Health of Dallas. But the strategy of the Dallas system’s telehealth program has since expanded to providing virtual health services directly to area schools. The system began in 2013 with services in 27 schools and has since expanded into 118 across Texas, making it the largest school-based program of its kind in the country. “We’ve identified places where there is a lack of care,” Perry said. She acknowledged that telehealth’s growing prevalence in healthcare would probably mean a change of focus for healthcare clinics—from places that primarily deliver sick care to facilities that individuals go to for wellness checks and preventive-care services. Dr. Roy Schoenberg, CEO of Boston-based telemedicine provider American Well, acknowledged that most providers have traditionally perceived telehealth as a service for one-time care of minor conditions. But he said perceptions are changing. As healthcare providers begin to embrace virtual visits, Schoenberg said there is a growing acceptance that the delivery method will be an essential component of managing doctor-patient relationships moving forward. He said telehealth will offer an opportunity for hospitals to rethink how they operate to understand how they can perform better with the help of such technologies. But whether providers adapt or not, Schoenberg said one thing was clear: Change is coming.